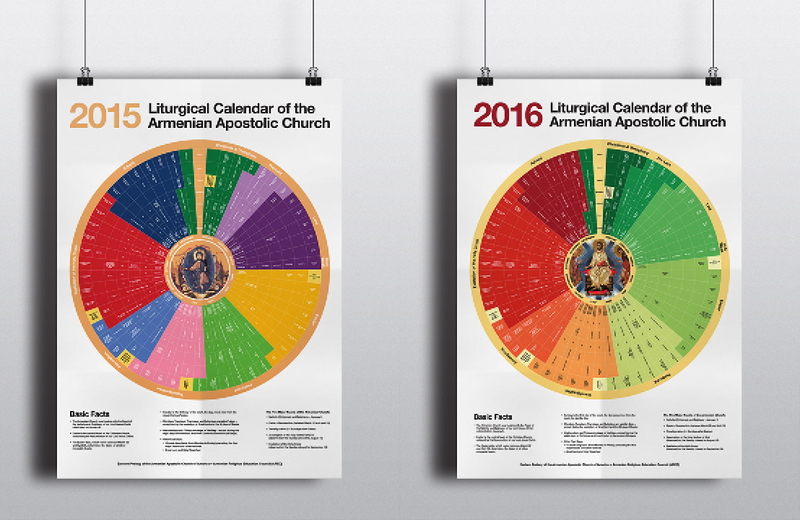 The religious education department of the Armenian Prelacy in New York wanted to publish a liturgical calendar that would distinguish itself from the countless other calendars that its audience used. The calendar would also be used as a teaching resource in Sunday school classrooms. The Problem: How do we show all of it? There are plenty of one page calendars in all different sizes out there. Generally they show the day of the year and sprinkle in the major holidays. The Armenian Church observes some sort of feast or fast during the majority of the year, from the popular to the obscure. With a large amount of information to communicate, how can it all fit in one image where all of it is clear and graspable? Asking relevant questions was the first step in determining how to solve a dilemma. 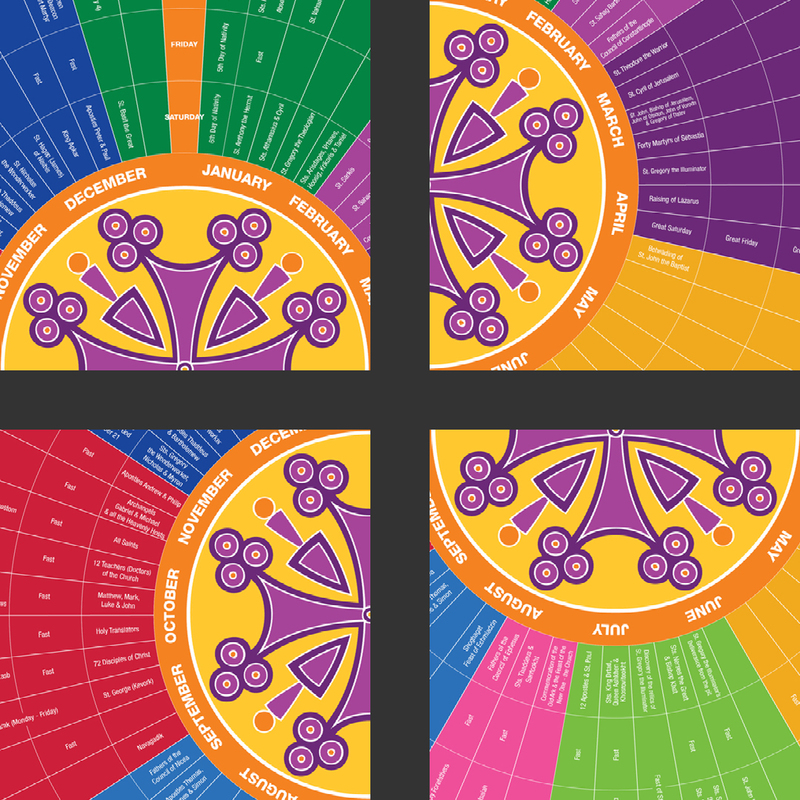 Since a calendar is essentially an infographic, what traditions have existed in the art of chronology? What sort of information was being presented? Was there a taxonomy that could be determined? 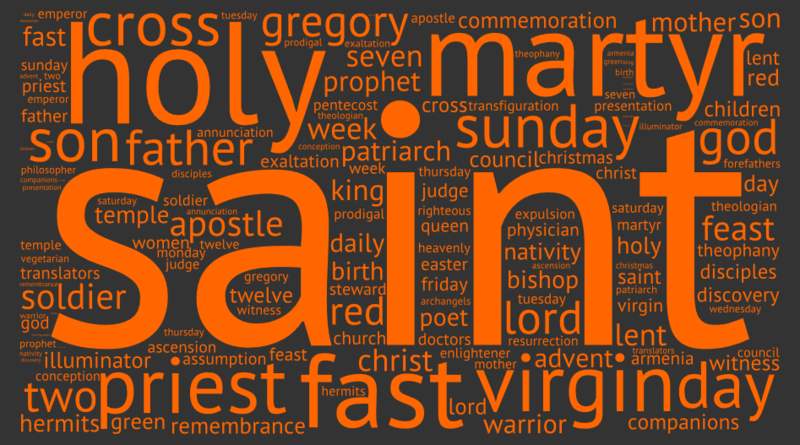 What was important to include or omit? Answering these and more would formulate the graphic. 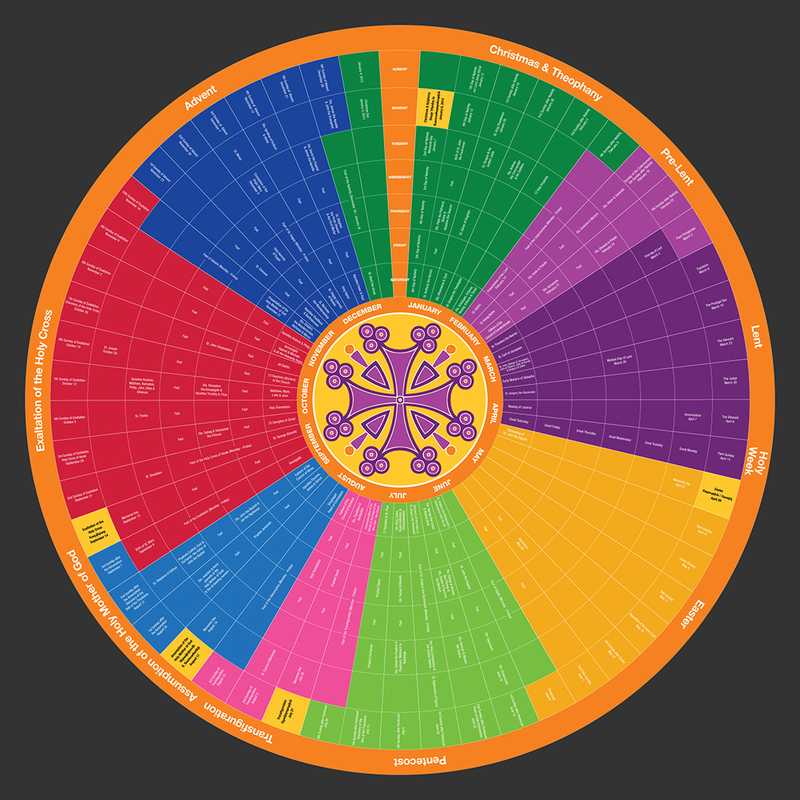 The discovery process revealed that the simplest way to list all of the feasts, fasts, holidays and seasons of the liturgical year was the circular grid. Color would give meaning to the various categories of information such as seasons, months and days. The arrangement of information within the grid would determine hierarchy and order. Patterns would emerge from the inherent numbers used to measure time and the design elements applied to them. Assuredly, it would all fit. Any product could be tested and evaluated in a controlled environment to determine its strengths and weaknesses. But nothing compared to publication. Observing the reactions to the calendar and the interactions with it by its intended audience in a natural setting further revealed how to improve the initial design. The problem of getting all of the information to fit had been solved. The calendar’s design was not only determined to be useful but it emerged as something delightful.